Front - Independent McPherson sturt with coil spring and anti-roll bar. Rear - Semi-independent twist beam with twin gas and oil filled shock absorbers. Welcome to Gautam Budh Ford. We are one of the fastest growing Ford dealers in Delhi NCR. Our entire focus at Gautam Budh Ford centers around customer and our high quality services make sure that our customers are happy while dealing with us. Gautam Budh Ford is promoted by professionals having more than a decade experience in Automobile Industry. 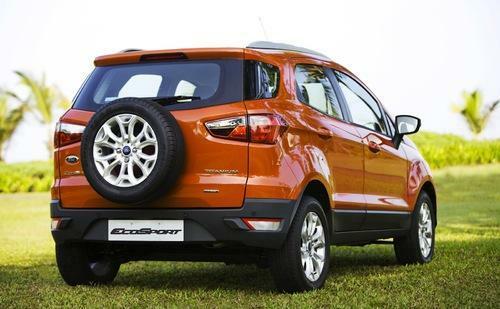 This experience plus our customer oriented focus makes us one of the most preferred Ford car dealers in Delhi NCR. Our location at Sector-5, opposite Noida Authority Office in sector-6,which is equally close to all three places e.g. Delhi, Ghaziabad and Noida, is easily accessible and surely one of the reasons why we are preferred by so many customers. We are having all three- Delivery, Services and Body Shop, located under one roof, so you hardly have to think twice or wait for long. Your services and decisions about new purchase are handled promptly!